Living at the foot of the Wasatch Mountains gives us access to a veritable playground right outside our doorstep. Brigham Young was right when he said, “This is the place.” Today, it isn’t about the protection the mountains provide, but the adventures we find by venturing into the woods. World-class skiing is Utah’s biggest draw, but the spring, summer, and fall seasons provide near-perfect conditions for trail running. Looking to try Salt Lake’s best trails for yourself? Head out on these scenic runs. This trail is an old standby for Salt Lake City trail runners (and mountain bikers). While it might not be SLC’s sexiest trail, its proximity to the city makes it ideal for time-crunched trail runners.The route roughly follows the old shoreline of prehistoric Lake Bonneville and is 100 miles long. Plans to extend it from the Idaho border to Nephi will make it 280 miles. This run is perfect for newbies because it’s generally flat, easy to find, and simple to navigate. The trail runs along the foothills so there are limitless off-shoot trail options to summit small peaks on a whim from the trail. Many trail runners try to keep some level of run fitness through the winter, but this can be tough with snow on the ground. Mount Wire provides a reprieve for the snowsport challenged because its south-facing summit and relatively low elevation allow snow to melt quickly after storms, leaving runners the needed dirt to get their fix. The summit can be gained a number of ways, but I almost always descend a new section of trail to the Bonneville Shoreline. The standard route to the summit is just 1.5 miles up, but includes 2,150 vertical feet of gain. An option after summiting is to run northwest off the summit, past George’s Hollow, and descend the ridge past the Living Room, a well-known rock structure that overlooks the city. Trail runners who want a less steep path can find solace in the Pipeline Trail. It traverses the north side of the road in Millcreek Canyon and undulates a bit more than the flatter BST. If you run out and back to the overlook then to Elbow Fork, you can get 17 miles in. This is another wonderful winter option because it faces south, and even if it snows a lot, all the foot traffic packs it down quickly for runners. Grandeur is steep, and perfect training for races that include a lot of vertical gain. There are two ways to summit, the steepest route goes 3,300 feet up the west side of the peak in just 1.9 miles. For a less intense trek, try the trailhead located 3.2 miles up Millcreek Canyon from Wasatch Blvd. in the Church Fork picnic area. This route is 3 miles to the summit with 2,340 feet of elevation gain. This fantastic 12-mile loop begins at the top of Millcreek Canyon. You travel on beautiful singletrack past Dog Lake and Desolation Lake before arriving at Red Lover’s Ridge on the Wasatch Crest. From there, head north on the Great Western Trail and drop back to the parking lot in Upper Big Water. 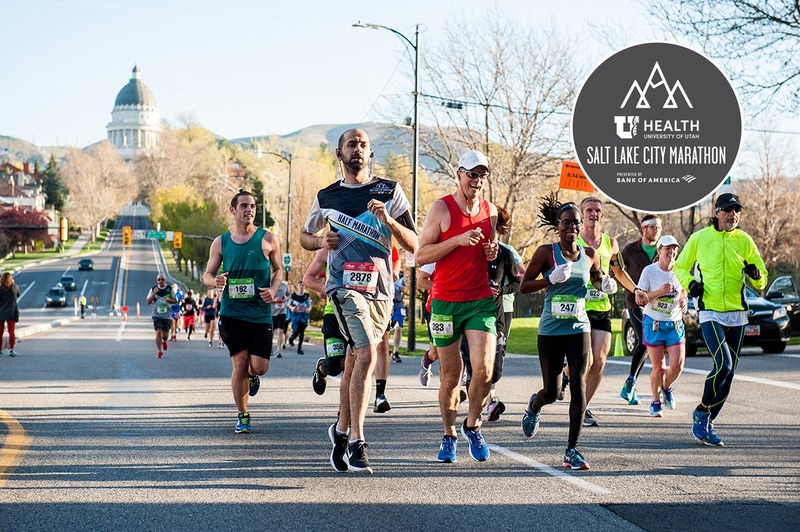 Our world-famous terrain makes Utah ideal for training, so it’s no surprise that many of the ultra trail running community call Salt Lake City home. Get inspired by the stories of these elite Utah trail runners. Native to Salt Lake City, and a graduate of the University of Utah, Jared grew up in Olympus Cove and spent his early years rock climbing. But for the past decade he’s become known for something different: tackling races and adventure runs that most view as impossible. In 2009, Jared won the Hardrock 100 Miler in the San Juan Mountains of Colorado, a race widely considered the hardest 100-mile course on Earth, with an average altitude of 11,000 feet and cumulative climb of 34,000 feet of uphill. This was Jared’s “Summer of Slog” which he began by becoming the 11th finisher ever of the Barkley Marathons (100-mile bushwhack race), completing the Hardrock 100 in 29 hours, 38 minutes (his sixth finish), and recently finishing the venerable Nolan’s 14 Route through the Sawatch Mountains. The route summits 14 fourteeners (peaks 14,000 feet above sea level) and climbs 45,331 feet of elevation in one push. This epic adventure took Jared 58 hours, 58 minutes. He was the fifth person ever to complete the run. Jay got an early start at endurance sports. 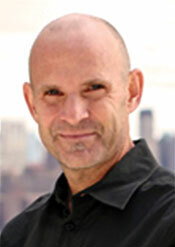 He was just 18 when he completed his first 100-mile footrace, the 1980 Western States 100 Miler. “States”, as it’s nicknamed, is a point-to-point trail race from Tahoe, CA to Auburn, CA, and is the oldest and most competitive 100 miler in the country. Jay finished it in just 23 hours, 21 minutes, 45 seconds. He then decided to focus on ultra distance cycling, and completed a then record for riding a bike around the globe (yes, you read that correctly). Jay and cycling partner Matt DeWaal traveled East from Salt Lake City to New York City, through Europe, the Middle East, Southern Asia, across Australia, then from Alaska back to Utah. The grand circumnavigation was 14,290 miles of pure, wild adventure, which they completed in 106 days. Since 2010, Jay has won eight ultras, including an astonishing five-month span where he ran six 100-mile races, finishing each in 16 hours, 16 minutes or faster. 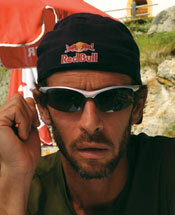 Karl is consider by many to be the best trail ultrarunner of all time, and he has won more 100 milers than anyone, ever. Out of the 110 ultramarathons he’s run, he’s won 54 of them. His 32 100-mile victories include five Hardrock 100 wins, and six Wasatch Front 100 wins. In the last few years he’s also added a couple long trail speed record attempts. 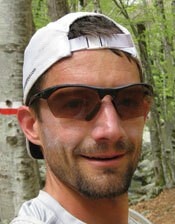 In 2008, he ran the fifth fastest time ever on the East Coast’s 2,184-mile Appalachian Trail. In 2010, he ran the Pony Express Trail: 2,064 miles from Sacramento, CA to St. Joseph, MO. A doctor by trade, and a new mother, Bethany burst onto the ultrarunning scene in the past year. In November, she set a new speed record for running across the Grand Canyon and back, a route called the Rim to Rim to Rim. 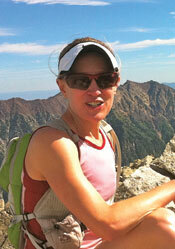 She completed the 47-mile route with 11,000+ feet of vertical gain in 8 hours, 15 minutes, 51 seconds. This was not a “soft record” in the running world. The previous two record holders are ultrarunning legends, but Bethany still managed to take nearly 10 minutes off the fastest time. Since then she’s juggled a busy home life and won the San Juan Solstice 50 Miler in Lake City, CO, coming just six minutes from setting a new course record.